I mentioned a while back that I had been working on a food-centered project. 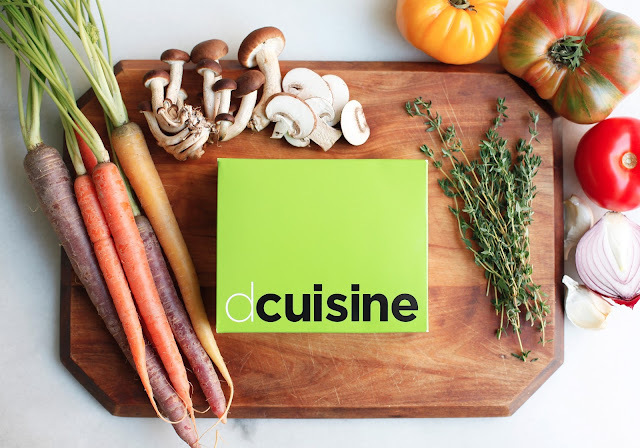 That project was dcuisine, which delivers really stellar flash frozen soups and entrees to your door; they are made by a certified Master Chef (a big deal in the foodie world if you don't know about the certification process.) You prepare them in boiling water (they come in a sous vide-style pouch) and it's a really simple process. This endeavor was my first foray into the world of e-commerce, and it was a really interesting journey. Along the way, I got to meet the chef and taste and test nearly all the meals. My personal favorites? 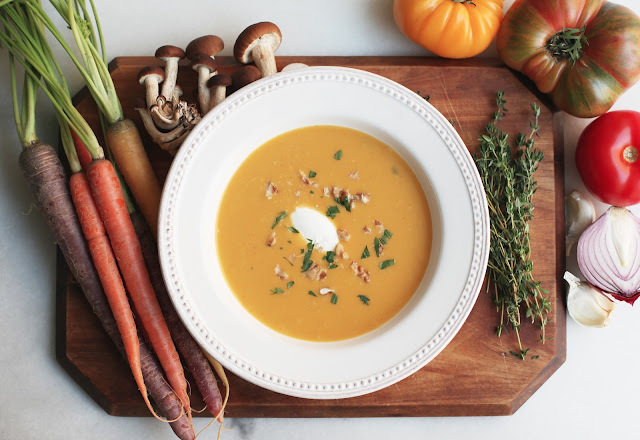 The butternut squash soup, beef bourguignon, and spicy Thai chicken soup. The founders are really obsessive about making beautiful food and the meals, which use top-notch, organic ingredients and are created in small batches, show their attention to detail. Their site is now live, and I'm pleased to offer free shipping for Williamsburg Baby readers. You order any combination of 8 soups or entrees at a time, and can keep them in the freezer to use whenever it suits you. Just enter FRIENDS at check out between now and May 15. We definitely could have used this when Axel was a newborn and when I'd leave meetings with a few packages to test and re-test, I'd feel a huge sense of relief because dinner was solved, and it wasn't terrible-for-us delivery food.